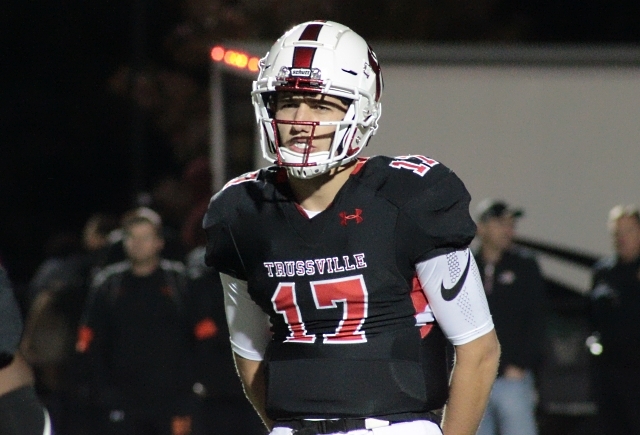 Trussville, AL -Paul Tyson, Hewitt-Trussville Huskies quarterback and great grandson of Crimson Tide coaching legend Paul Bear Bryant, has made his college choice. The 6’4, 215 pound pro-style signal caller announced Thursday that we will sign with the University of Alabama following his senior season at Hewitt in 2019. He chose the Tide over Kentucky, Michigan, LSU and Notre Dame. Rated a four star prospect by the 247 composite, Tyson completed 238 of 336 passes for 3,392 yards 36 touchdowns and and four interceptions during his junior campaign at Hewitt. “I would like to say that I give all praise to God. I have been blessed my entire life and I am now blessed with an opportunity to be a part of a place very special to me and my family. I have prayed that the right door would open and that I would be sure. I have enjoyed the recruiting process and really tried to be open minded. It came down to Coach Key, Coach Enos, and Coach Saban asking me to commit now. I felt that same calling that my Great Grandfather had when he was asked to come home. Alabama is home and that’s where I want to spend my college career. I want to thank all the coaches and teams that recruited me, and thank all of my coaches over the years, especially Coach Floyd. I want to thank my Mom, Dad, Uncle Paul and 3 sisters who supported me through this process. I now want to focus on my senior year at Hewitt-Trussville, and help Alabama recruit the best class in the nation in 2019. 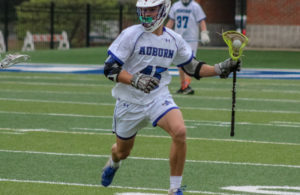 Tyson’s Huskies, who are coming off their second consecutive unbeaten regular season, finished their 2018 campaign at 11-1 falling to the eventual state champion Hoover Bucs in the second round of the class 7A postseason. 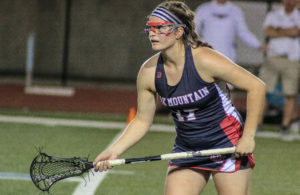 Hewitt makes the move from 7A region 4 back to region 3 this fall. 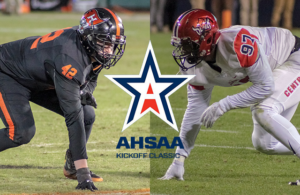 The Huskies will face traditional metro area foes Hoover, Thompson, Spain Park, Vestavia Hills, Mountain Brook, Oak Mountain, and Tuscaloosa County in region play during the 2018 season.